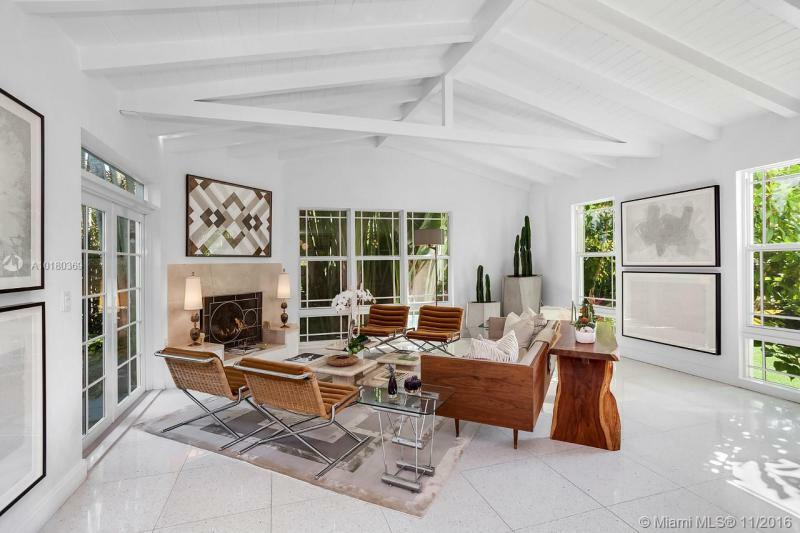 Tucked behind lovely landscaping, this fully renovated 2-story home features vaulted ceilings, immaculate terrazzo floors, custom built-ins and abundant light through high impact floor-to-ceiling windows. Gourmet kitchen has a Viking gas range stove & stunning white cabinets. Updated electric and plumbing. Master suite has a large walk-in closet & spa-like bathroom w/ intricate tiles, free-standing tub & dual sinks. Outdoors, enjoy a salt water pool & open patio ideal for entertaining. Modern day living meets classic charm in this 6 bedroom 5.5-bathroom home located in one of the most sought after Miami Beach locations. Private oversized lot providing expansive outdoor living and entertaining space in a serene setting. Enjoy chef?? ?s kitchen, informal and formal dining and living spaces, oversized bedrooms and meticulous attention to detail. The detached guest house features upstairs living quarters w/kitchenette and a unique rustic entertainment room w/full bar on the ground level. 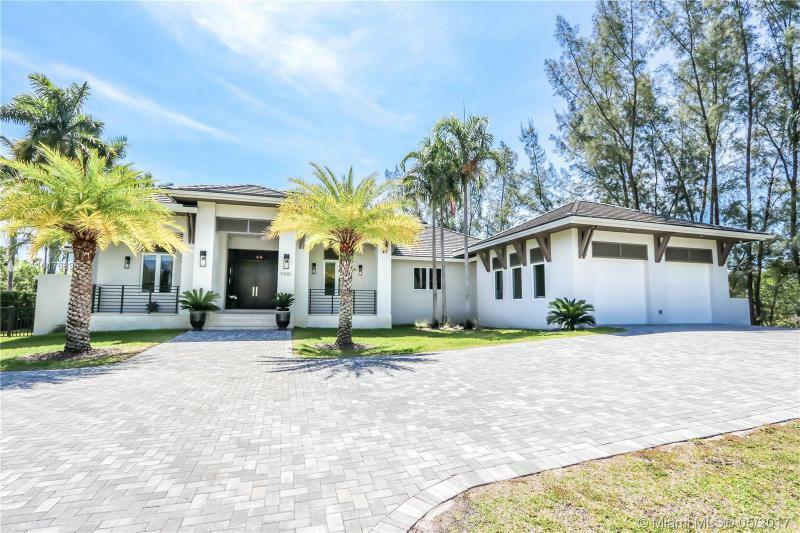 PEACEFUL GUARDED GATED COMMUNITY OF HAMMOCK OAKS, BEAUTIFUL 2015 CONSTRUCTION MAGNIFICENT 1 FLOOR SOARING HIGH CEILINGS, 5 BEDROOMS, 5 BATHS, 1 HALF BATH WALKING CLOSETS, PLUS OFFICE, OVERSIZED 2 CAR GARAGE, PEACEFUL LONG WATER FRONT VIEW, COVERED TERRACE PERFECT FOR ENTERTAINMENT, POOL, SPA. STONE FLOORING 48X48 AND WOOD FLOORS IN BEDROOMS, IMPACT GLASS DOORS & WINDOWS, PERFECT GOURMET KITCHEN, TRIM LINE KITCHEN, CALACATTA ISLAND, SUB-ZERO, WOLF APPLIANCES GAS RANGE. BALLI DESIGN. PRIVATE LOT 1 NEIGHBOR.